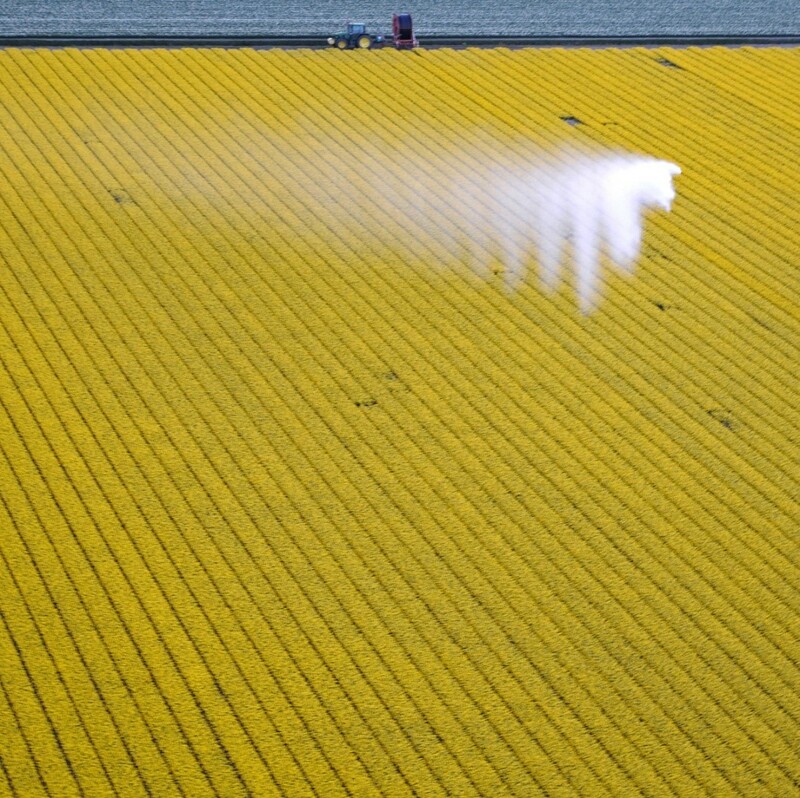 This time of the year we see them on a regular basis: irrigation reels. In the spring the land can be dry. 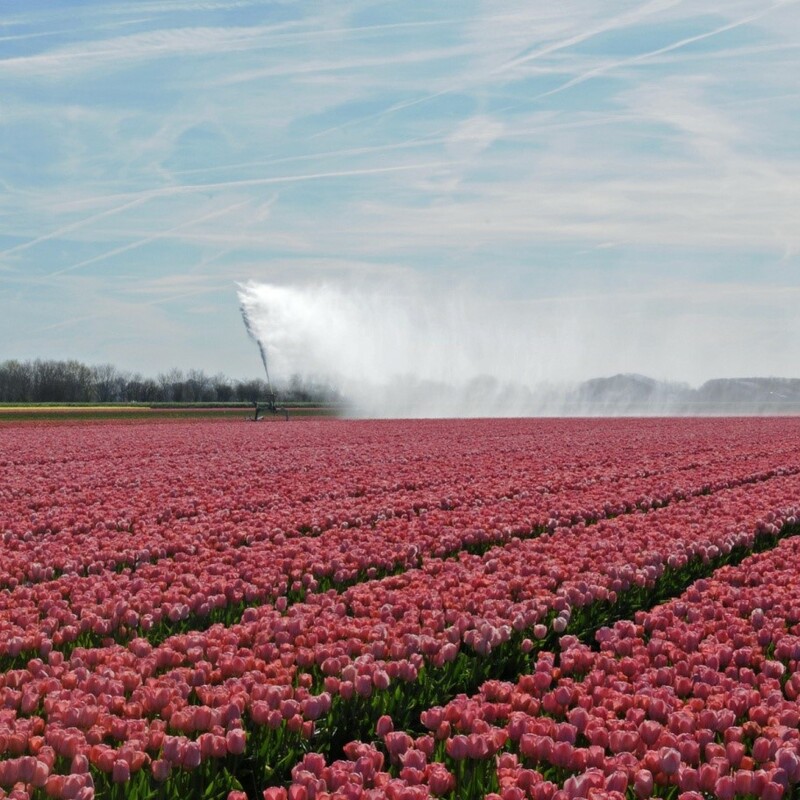 Water is one of the basic needs of a flower bulb and really important for the growth and quality of a flower bulb. 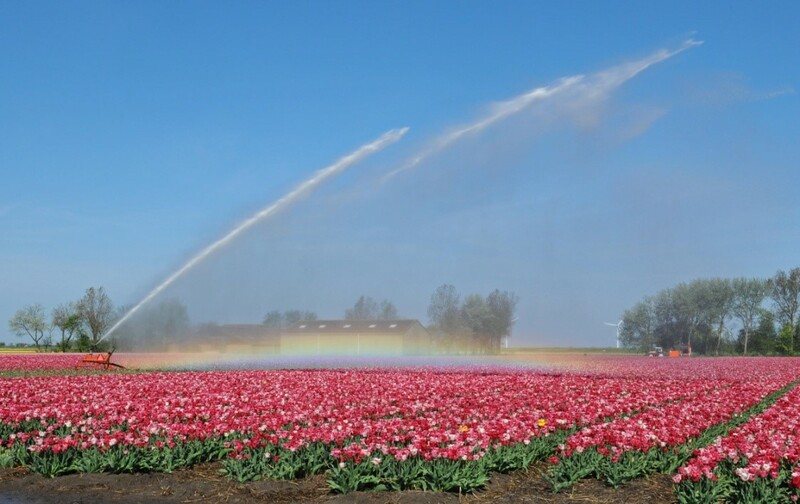 To help the bulbs in time of drought, we use irrigation reels and water from the ditch to water the ground. 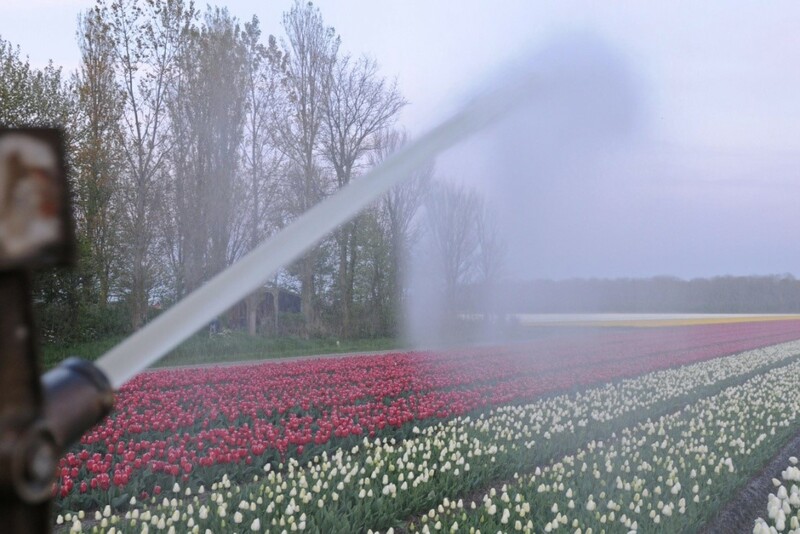 The connected sprinkler turns from side to side, so all the flower bulbs recieve enough water. In just a few hous the irrigation reel manages to create the same effect as a 15mm rainpour.